This is part one of a two-part series exploring the digitization of the fast-food experience. The second installment looks at whether data mining and loyalty reward programs can help quick-service chains compete with independent eateries. Fast food isn't what it used to be. Long gone are the days when burgers and fries were the only options. "Quick-service restaurants," as they are now called, offer cuisine types like healthy salads, gluten-free menus, and even meat-free choices. But you'll also find that prices are higher and service is poorer, according to Bonnie Riggs, a foodservice industry analyst with NPD Group. "And supply versus demand is another problem. We have more restaurants than bodies to fill them," she said. Adding to those fast-food woes is competition in the form of make-it-yourself meal kits and delivery services such as GrubHub and Caviar. Even Uber is getting into the food business. That's not to say fast food is going away — it is, after all, as American as (deep fried) apple pie — but the segment is suffering from stagnation. To help reclaim its place in American hearts, the sector is looking to technology, particularly the use of mobile technology, to enable order-ahead features. In fact, Business Insider Intelligence predicts that mobile ordering will become a $38 billion industry by 2020, accounting for more than 10% of total fast-food sales. Fast food mobile ordering is projected to become a $38 billion industry by 2020. The restaurant industry in general does not tend to be very tech-forward, and the growth in mobile app offerings, and particularly mobile ordering features, is being led not by the availability of the technology so much as by consumers and by revenue. DMI, a mobile technology services company, surveyed 2,500 consumers late last year and more than a third of them said they would rather order food from quick-service restaurants using mobile device, versus ordering at the counter. That's an important indicator, but here's the real kicker: Research indicates that there is a direct line between mobile apps for quick service restaurants and revenue growth. Take Taco Bell, for example. Its customers spend 30% more, on average, when ordering via the Taco Bell app, compared to in-store orders, according to Business Insider Intelligence. Starbucks was an early adopter of mobile payments, via its smartphone app, and this has served the coffee giant well. The share of Starbucks customers using its "Mobile Order & Pay" service has grown sharply since it's been offered widely. At the close of last quarter, Starbucks reported customers conducted 8% of transactions using the app to order and pay. But when the retailer started offering the preorder pickup service, trouble started brewing. In fact, the trouble was somewhat predictable: The stores' capacity for receiving orders expanded, but not their capacity to fill them. Customers who pre-ordered drinks often found themselves waiting in long lines anyway. And that hurt: Starbucks saw its total number of transactions drop a bit, and that decline has been attributed to frustrated mobile users seeking their caffeine fix elsewhere. When Shake Shack decided to launch an app with a mobile ordering feature, it used Starbucks' experience as a cautionary tale. The burger chain has seen strong growth recently and while it wanted to offer mobile ordering, it was also concerned not only about bottlenecks at its stores but also ensuring that orders are picked up at the optimal time to avoid cold burgers and melted shakes. In a pilot program, @Shakeshack customers placed mobile orders up to 24 hours in advance. So looking beyond integrating the app with its point of sale system, Shake Shack also hired Applause, a software testing firm, to run pilot programs with groups of 100 consumers in a few parts of the country. Peter Blair, vice president of marketing for Applause, said these tests indicated that the restaurants need a way to communicate with customers to make sure they arrive on time to pick up their orders. One of the surprise findings of the pilot was that some customers placed their orders up to 24 hours in advance. So, while fine-tuning the app before launching it nationally, Shake Shack added an automated text message that lets these customers know just when their food is being prepared, in order to help ensure that they pick it up as close as possible to when it's ready. In March, McDonald's announced its plans to roll out mobile order and pay in 20,000 restaurants worldwide by year's end. It will also begin to offer curbside pickup — an alternative to the drive-thru where you'll be able to pull up and grab your pre-ordered meal with no waiting. But the smartphone is not the only digital touchpoint that McDonald's is pursuing. Around 500 U.S. locations have installed digital kiosks where customers can order and pay for their burgers and then have the food delivered right to their table. Consumers want better service from their fast food experiences, and McDonald's is willing to experiment with new tech and service models because its U.S. sales are down, according to Riggs. Max Hamburgerrestauranger, a Scandinavian burger chain, already offered mobile ordering via its iOS and Android apps when it decided to also install kiosks in its stores. Apparently, that was a smart move. Orders placed via these kiosks and through the app account for half of the chain's annual sales, and in some locations, these digital orders account for as much as 70%. Plus, orders placed via kiosks are of higher value per transaction than those placed at the counter. But some foodservice providers need to think about how customers can use mobile technology when they're not actually mobile or in the stores, but when they're ordering from home. Dominos, which has won accolades for its home delivery app, has gotten creative by partnering with sensor integration platform If This Then That (IFTT) to modernize the pizza-hailing experience. One integration allows the app to control the color output of Phillips Hue connected lightbulbs to signify the pizza's journey to your front door — (blue means it's just gone into the oven, red means it's just about there). But other, less dramatic, (and frankly, more helpful) tweaks are possible, such as automatically turning off the lawn sprinklers when the driver nears the house. To enable this digital shift, foodservice brands are partnering with a range of service providers. Dunkin Donuts, for example, recently announced that it migrated its corporate IT infrastructure as well as its mobile applications and e-commerce websites to Amazon Web Services in order to improve reliability, availability and security, among other benefits. Beyond integrating their apps with their point of sales systems, foodservice companies that offer mobile ordering also need to ensure the transactions and the apps are highly secure. 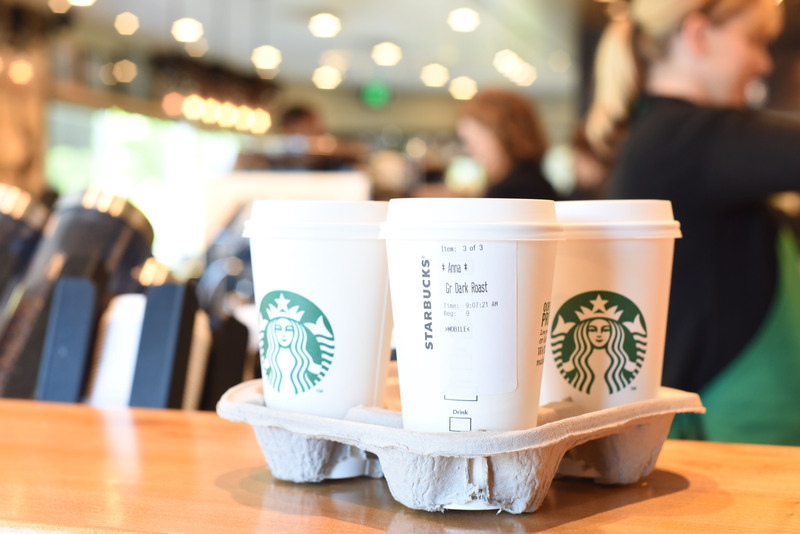 In addition to long lines of mobile app users, Starbucks has been stymied by fraud perpetuated via its mobile ordering app, which is a problem that's hard to shake unless customers take the necessary steps and change their logins. It's too soon to know whether quick service restaurants will gain long-term advantage by trying to reach new customers through their phones or smart homes. Even with the most intuitive, secure mobile apps, chains won't succeed unless they attract and retain customers, and at the end of the day this requires good staff and tasty food.